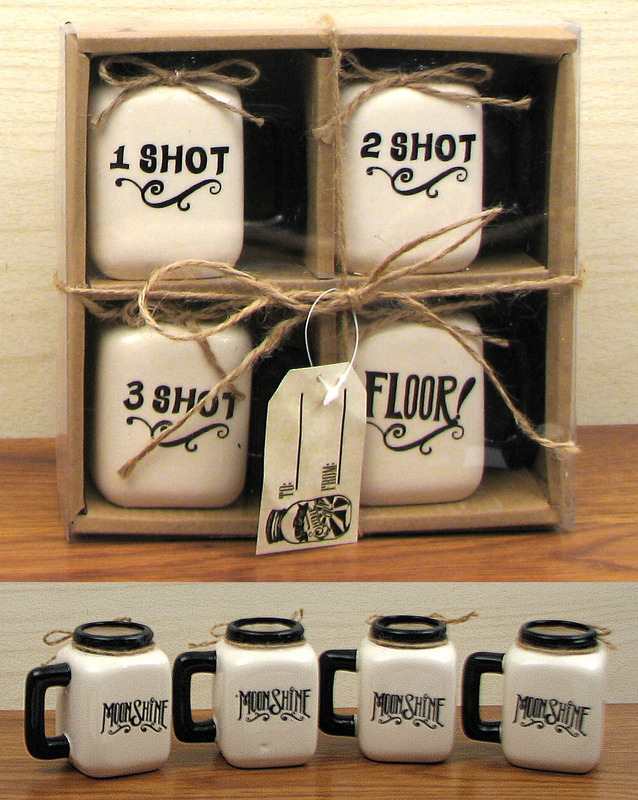 Measures: Ceramic Mason Jar Shot Glasses. Comes in a boxed set, 1 shot, 2 shot, 3 shot, Floor on one side, moonshine on back of each glass. Great gift for any occasion. Measures: Each glass is 3" H x 3 1/4" W x 2 1/8" D.